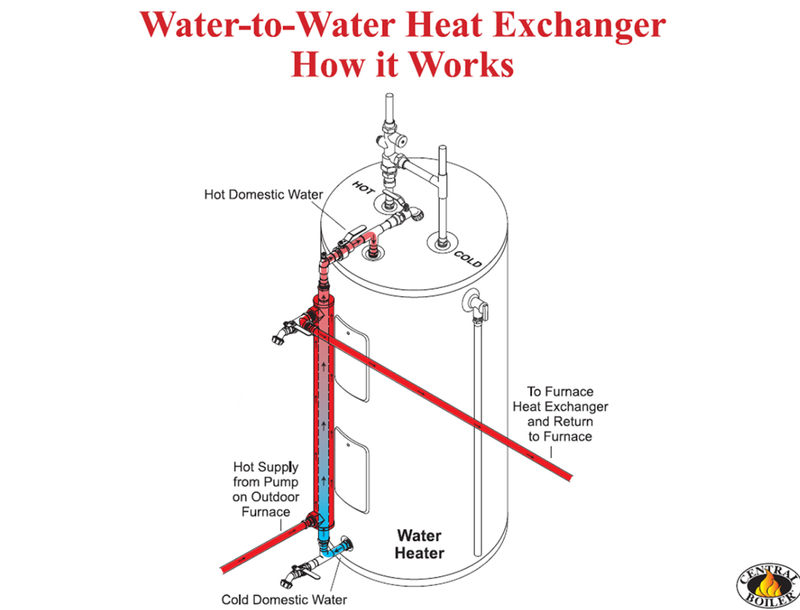 The Water-to-Water Heat Exchanger is a water to water, domestic water heat exchanger with 3/4” FIP end and side ports. Install on existing water heater for thermal circulating heat transfer. Fittings Kit (p/n 2053) or Push-fit Fittings Kit (9263) are available separately for easy installation.